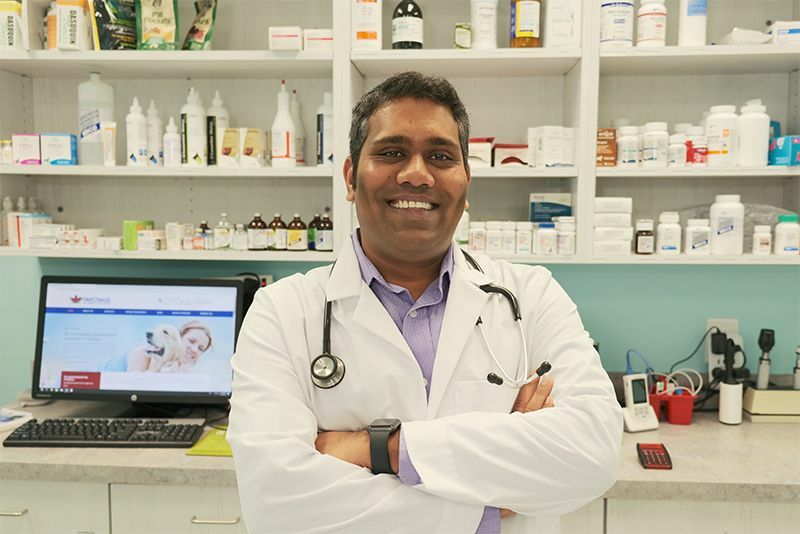 Dr. Siva is a board-eligible veterinary toxicologist (one has to complete a 3-year residency program after vet school to be eligible) with 6+ years of experience in veterinary medicine, which includes preventive care medicine, evidence-based medicine, surgical care and emergency medicine. Dr. Siva grew up in rural India with farm animals and pets. With a passion for helping animals, he chose to go into vet school despite being offered admission into medical school. He later traveled to the U.S. for grad school and completed his PhD in Toxicology. Motivated to improve the lives of pets and people, Dr. Siva cleared tough veterinary board exams to become licensed to practice in the U.S. At VetCheck Pet Urgent Care Center, our philosophy is to provide evidence-based medicine to help reduce suffering in pets and give their loving owners peace of mind. Dr. Siva's goal is to see every client leave our facility with all of their pet health questions answered. It gives him immense satisfaction to keep clients informed and confident about their pet's needs. Outside of work, Dr. Siva lives with his wife Sowmya and their son Ashwat. In his free time, he loves spending time with his family, cooking, watching movies, meeting friends and going on long road trips. He looks forward to helping you and your four-legged family member! Darci Cowell is the Lead Veterinary Technician of our establishment. 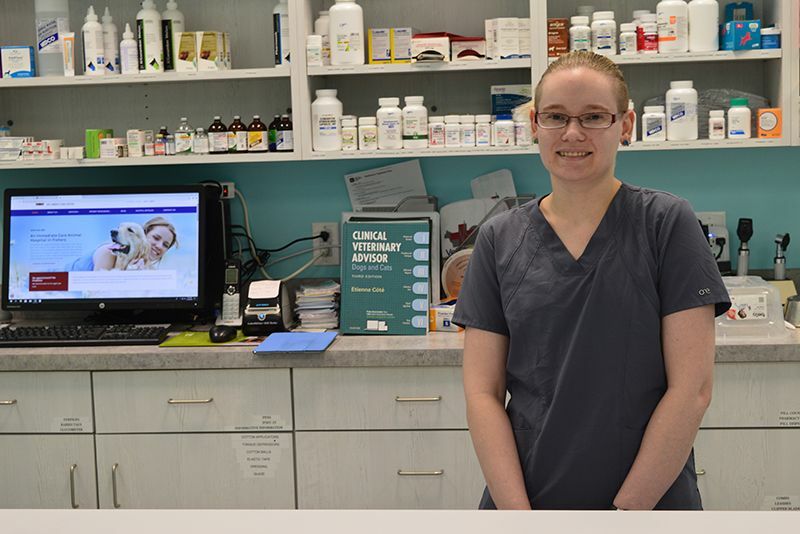 Her parents helped her achieve her dream of becoming a veterinary technician by sending her to Harrison College where she obtained her Associates Degree in Applied Sciences, majoring in Veterinary Technology. Then she went on to obtain her license by passing the Veterinary Technician National Exam in September of 2016, earning the title of Registered Veterinary Technician. 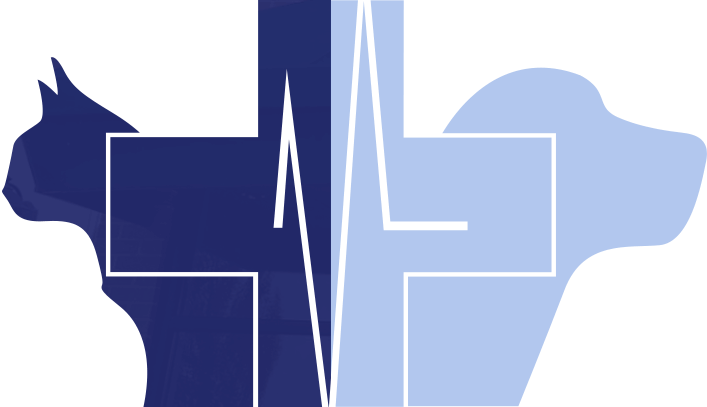 ​​​​​​​Darci has been practicing veterinary medicine since 2013, with notable experience in general practice, emergency medicine as well as ICU care, and wants to continue providing these services to all pet parents with wellness and/or urgent needs by working at VetCheck Pet Urgent Care Center. Darci is passionate about education, whether it is her own or when she has an opportunity to teach clients. 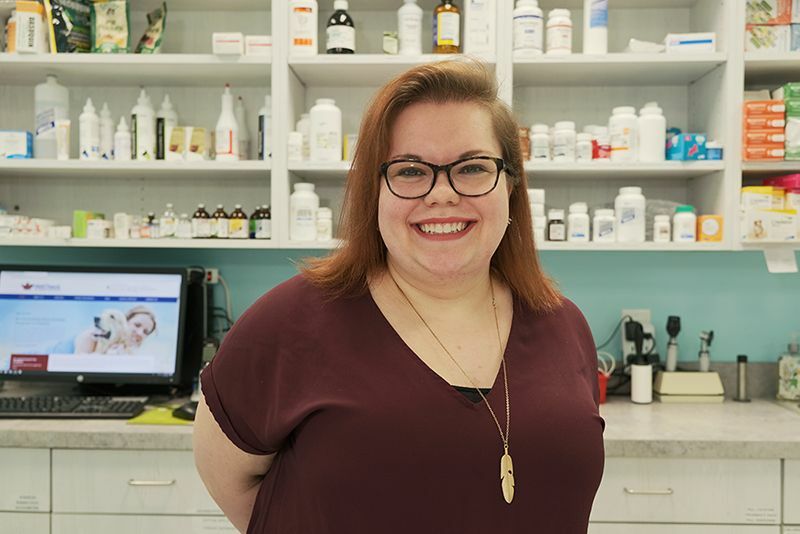 She believes that knowledge is power, and empowering clients to be in control and in charge of their pets' care is of utmost importance to Darci. She looks forward to meeting new people and new pets every day! 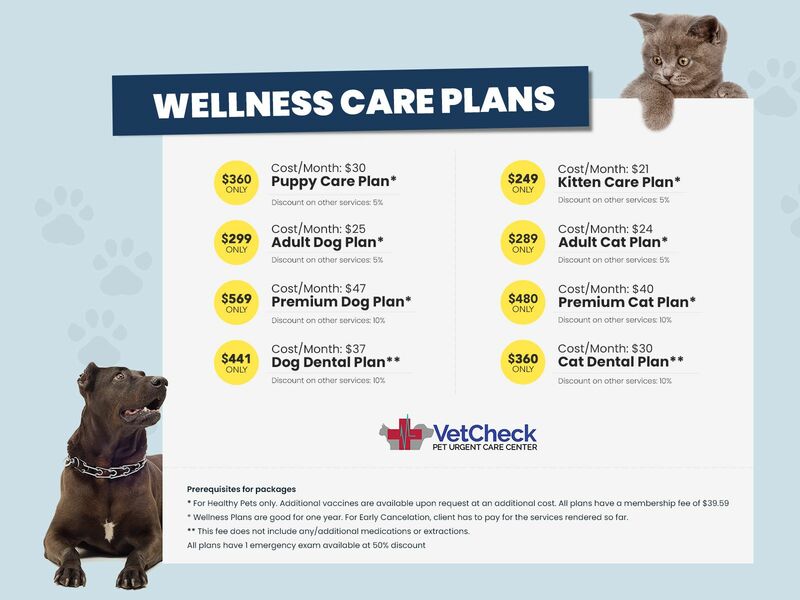 Hope to see you at VetCheck Pet Urgent Care Center soon! 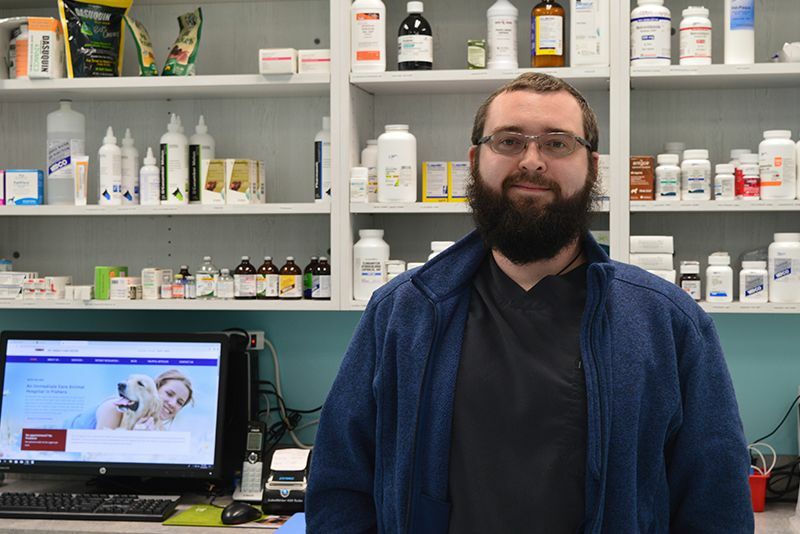 Kyle is a Registered Veterinary Technician here at VetCheck Pet Urgent Care Center. He graduated from Harrison College School of Veterinary Technology in 2012 and has been in small animal practice ever since. Helping pets is the only thing Kyle has ever wanted to do, and he can't picture himself doing anything else. Kyle recently got married to his amazing wife, Jana. Kyle's and Jana's plan is to start a family soon and add a child to the 3 dogs and 4 cats they already have. Kyle and his wife are huge nerds and massive Disney fans. ​​​​​​​Kyle spends his free time reading, playing video games, and spending time with his wife and their small zoo. Kyle's aim is to make sure every client is comfortable with the help we are giving and provide the knowledge they need to make decisions for their pet's care. Questions are always welcome when it comes to your pet's medical treatment. Ariel Davis became Veterinary Assistant at VetCheck starting in December of 2018. She graduated from Harrison College in June 2018, majoring in Veterinary Medicine. She has been practicing veterinary medicine for three years. Her passion is to provide proper care and support for her patients while providing medical knowledge to her clients. She also wants to make sure her patients are comfortable when arriving at our clinic, so they will enjoy their visits. She is in the veterinary field because she has a passion for medical knowledge and animal science. "I want to help my clients care for their beloved pets. Pets are a part of your family and should be provided with the care to help them live a full happy life.